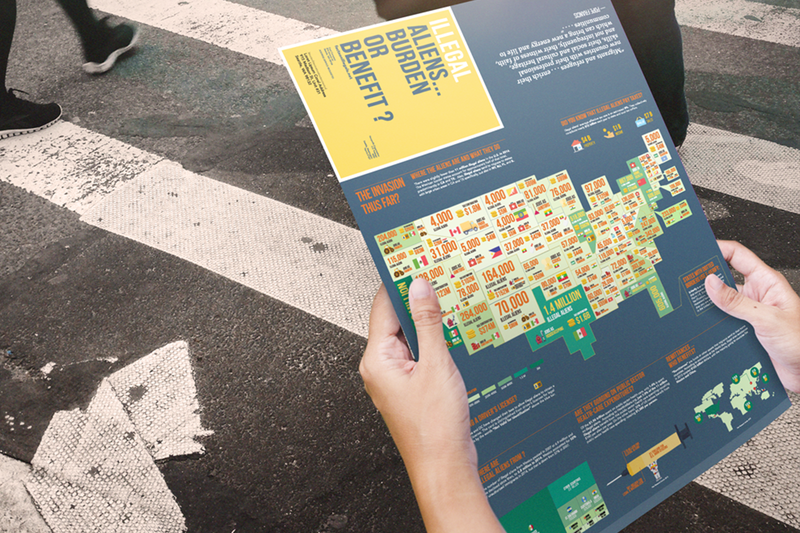 This project involved a lot of research on illegal aliens and the contributions they have on American society. I specifically wanted to target individuals who might believe that illegal aliens are a burden on society. This is why I went with the name “illegal aliens” over undocumented immigrants, as people who use the words illegal aliens are generally those who harbor negative feelings about them. 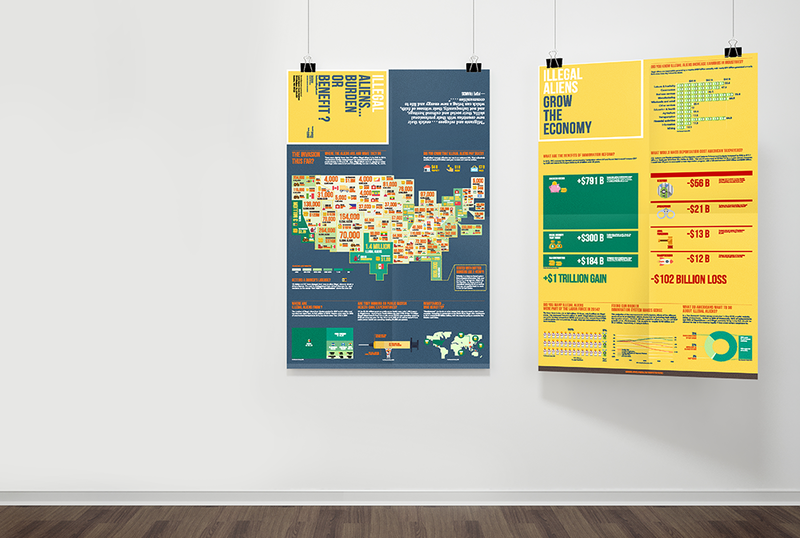 I focused my research on where illegal aliens live, the types of jobs they have, and other things like taxes and public health care dollars spent. 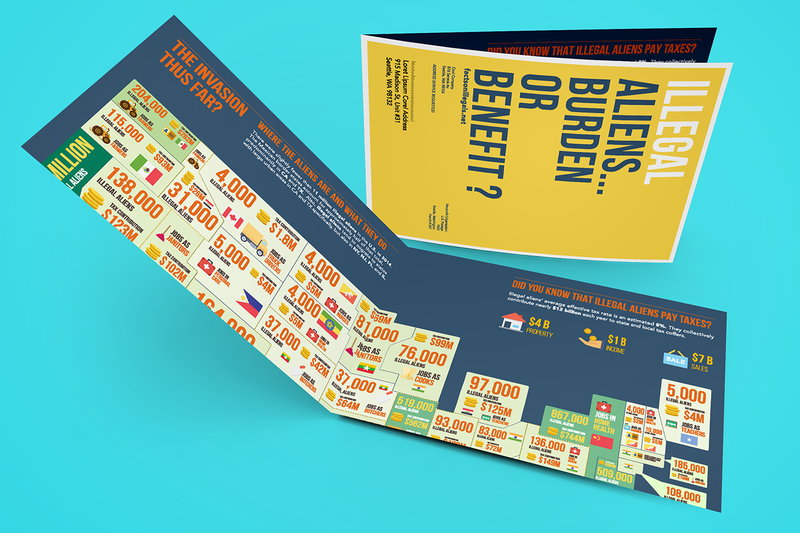 The illustrations and information works together to tell a story of immigrants, reaching a climax on the back side of the infograph by showing the benefits compared to the burdens, in dollars. 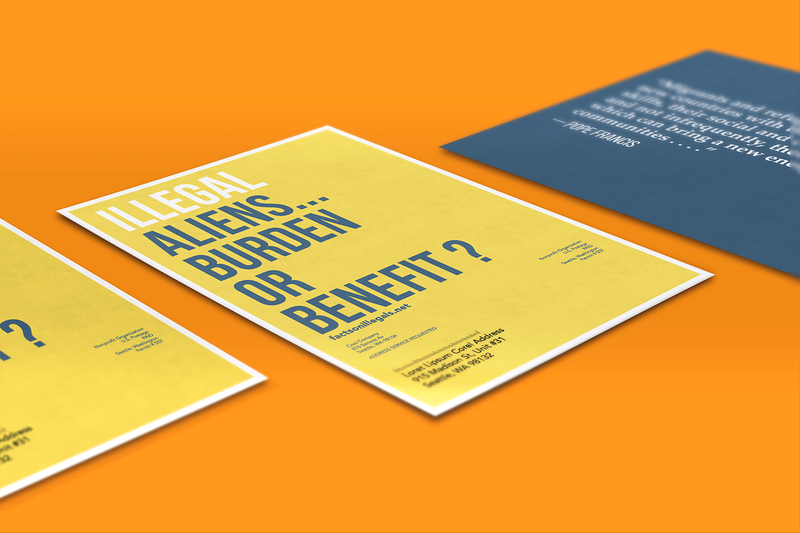 The driving force behind my research and illustrations was to get Americans to think more positively about immigrants, and avoid jumping to the conclusion that illegal aliens are bad for society.